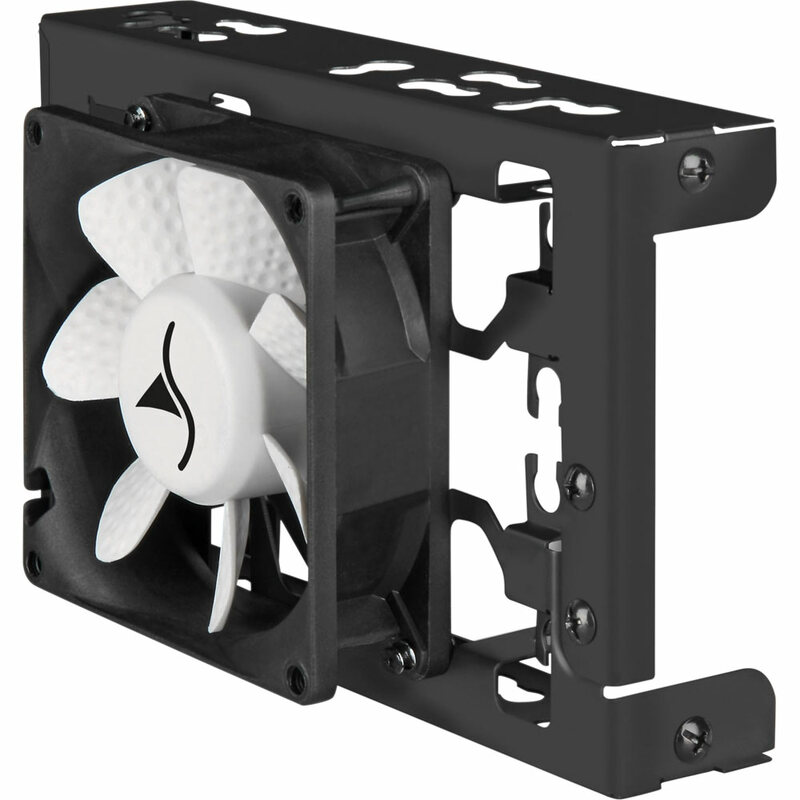 The Vibe Fixer Pro is a multifunction mounting frame which provides an adequate solution for a wide range of mounting problems. Both 2.5" hard drives and 3.5" hard drives can be used with the Vibe Fixer Pro. 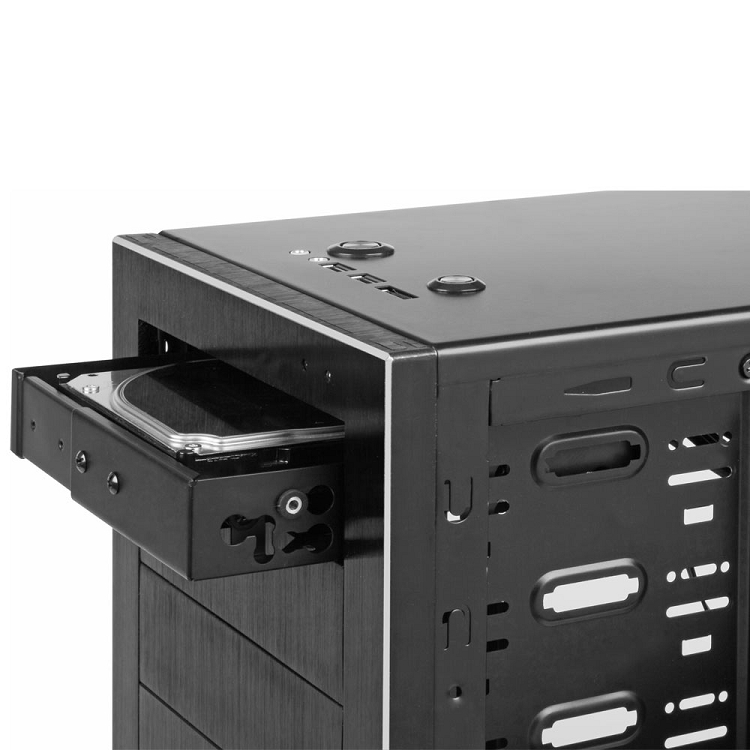 The Vibe Fixer Pro can be installed into either a 3.5" or 5.25" mounting slot. It makes no difference whether the frame is used as a quick mounting system or secured with regular screws. The Vibe Fixer Pro lets you choose and adapts to (almost) all conditions. Installed hard drives are decoupled and for optional cooling either a 80 mm or 120 mm can be attached.